Know Exactly What Your Customers are Using with Product and Inventory Management. Your customers expect you to know what products they have, and TeamSupport’s integrated product database lets you track this. Our customer support software allows you to associate products with customers so you can see at a glance what they have. The Product Section is where you define all of your products and versions, saving time and consolidating information needed to provide outstanding customer service! Remember to associate products and versions to tickets for easy product tracking and reporting. Easily see what tickets are associated with each product, version, and customer. Tie tickets to products to better identify which products are having issues, and associate feature requests and bug fixes appropriately. 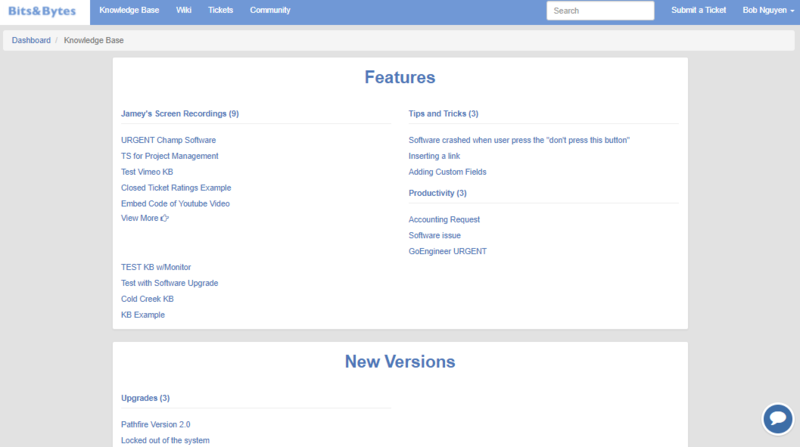 Find tickets that were resolved as a result of a new version, and update what changes and fixes have been put in place to help better allocate product management resources. By associating customers with tickets, when a customer calls in your agents can easily see what product and version they're using. Not only can you easily see which products and versions you're supporting, but you can also zoom out and understand how they're performing at the brand level. See which customers are using which product, manage user rights, and of course you can also report by product lines. Products and Inventory are not standalone features - like all things in TeamSupport, we know it's about collaboration and teamwork. Tying rights management on the portal to products and versions means that customers only see knowledge base articles related to the products they have. You can also upload version updates to your customer portal so customers can download them at their convenience. TeamSupport Inventory allows you to track physical inventory items (or “assets”) down to the serial number level. You can track assets which have been shipped to customers, mark inventory as Assigned, Unassigned (Warehouse) or Expired (JunkYard), and even assign the asset when it's shipped, or return it to the warehouse. You can also associate inventory to tickets for easier tracking. By associating products and versions with tickets, when a customer calls your agents can quickly access detailed information on delivery/return status, etc. to provide a better support experience. Not only can you track customer level support agreements, TeamSupport also lets you associate service expiration to individual products so that a user with multiple products can have support contracts open on one of them and not the others. Entitlement management also lets you restrict access to the customer portal automatically based on service expiration dates, and if the product support agreement has expired, the customer can be limited from downloading updates for that specific product on the customer support portal. Of course we also enable reporting on entitlement management so that you can easily run reports and understand what customer service contracts are coming due.